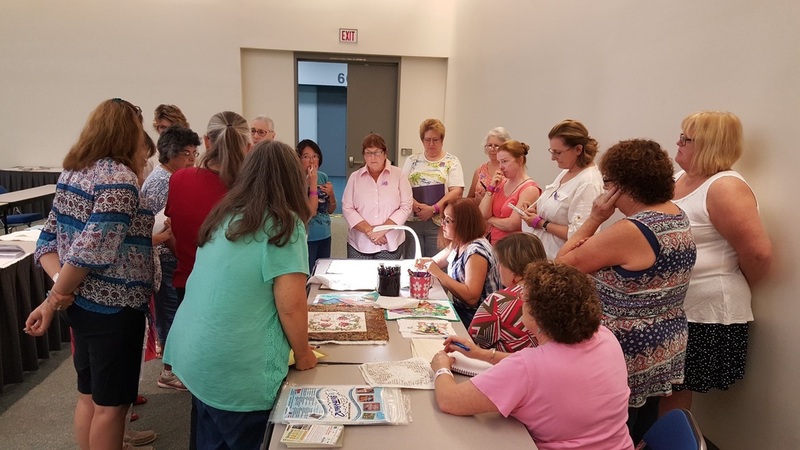 The teachers at The Fiber Art Connection are very special! These are women who are looking to really connect with their students. To build lasting relationships as they help their students take that next step in their art. Whether its techniques, coaching, motivating or inspiring, these teachers have what it takes! ​I wanted to grow a community of both artists as well as students. I know that there are many women who, for various reasons, are unable to travel. I know because I was one of those women. I also know that they would love to have a community of other fiber artists where they can built connections, ask questions and learn new techniques as well as skills from where ever they are. My dream is to have The Fiber Art Connection be a better solution than other online classes. Where we offer our students a safe place to grow their art and feel connected. The teaching artist here are true artists, living their passions, sharing their talents and enjoying the new connections they are making with the students. If you agree with our approach to teaching and our belief in creating a fiber art community online we would love to hear from you!!! 1. Top notch Fiber Artists and Teachers who want to teach online. 3. Women who care about women. 4. Artists that are ready to belong to something different, where artists help students to grow their talents and build an on-line fiber art community. If this sounds like you I want to hear from you! Drop me an email below and I will send you more information and thank you for your interest!